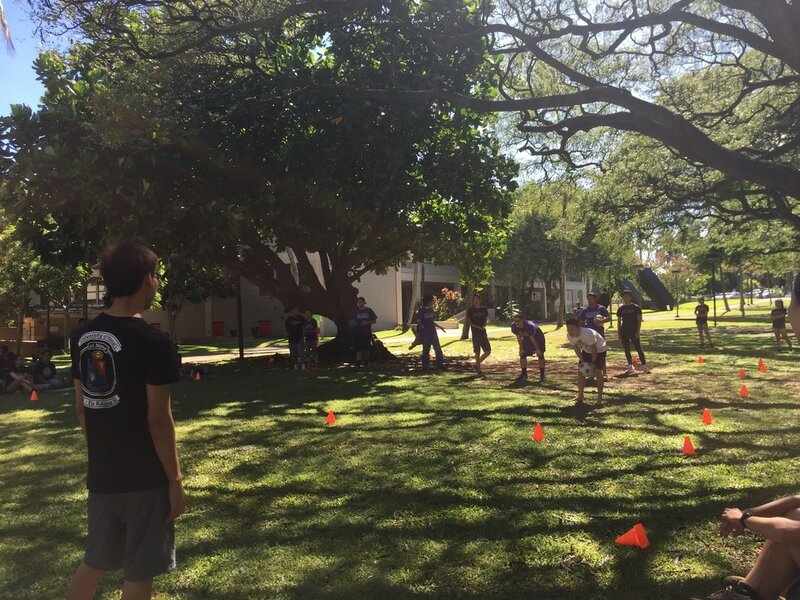 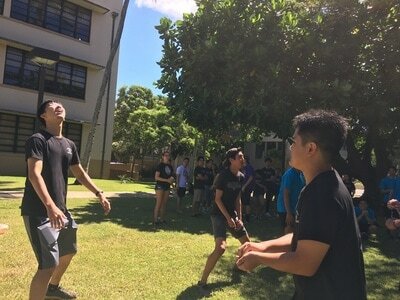 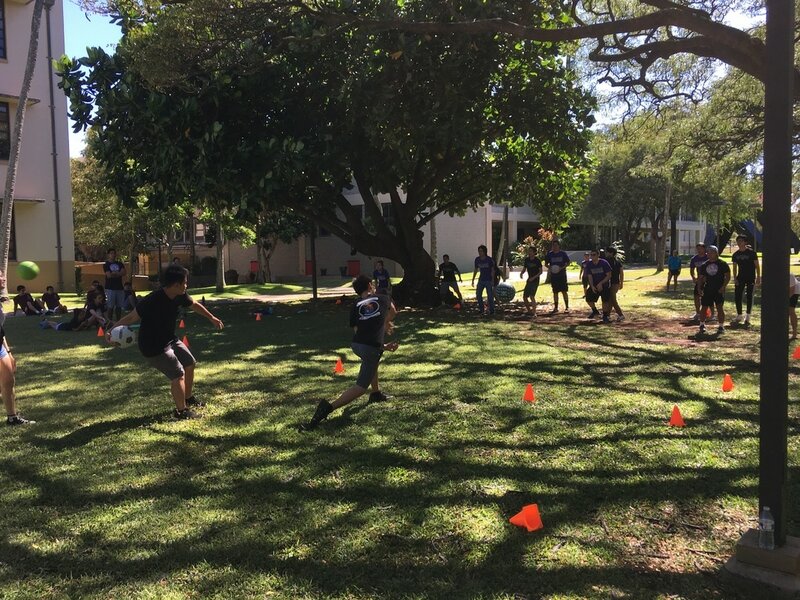 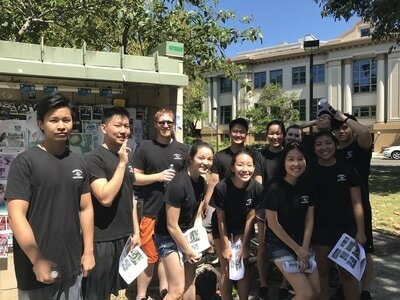 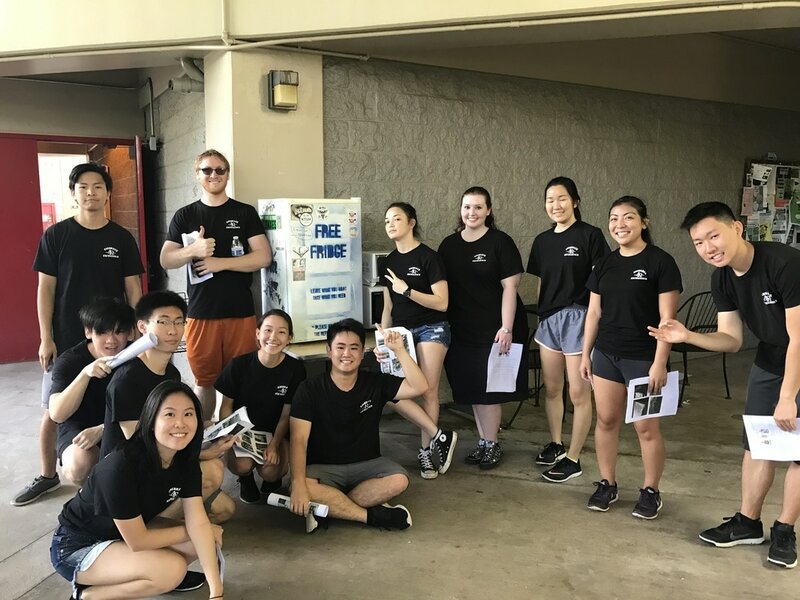 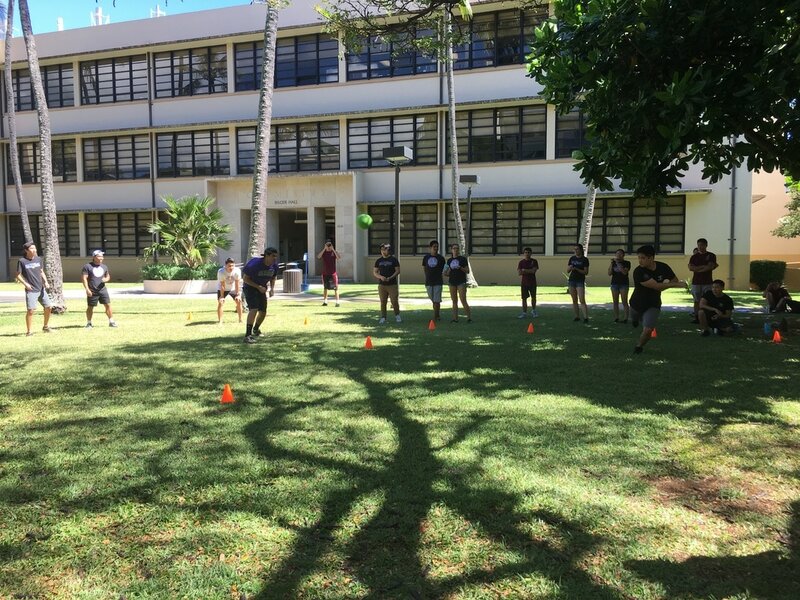 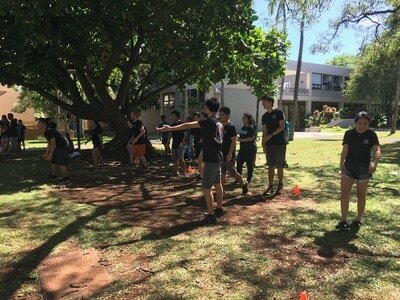 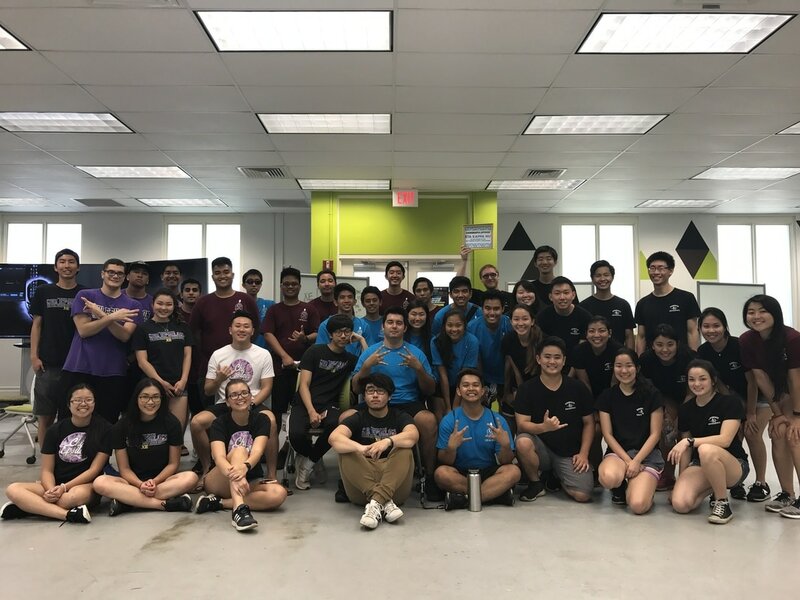 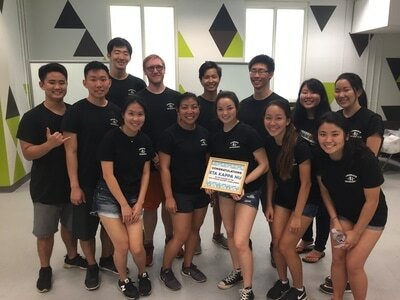 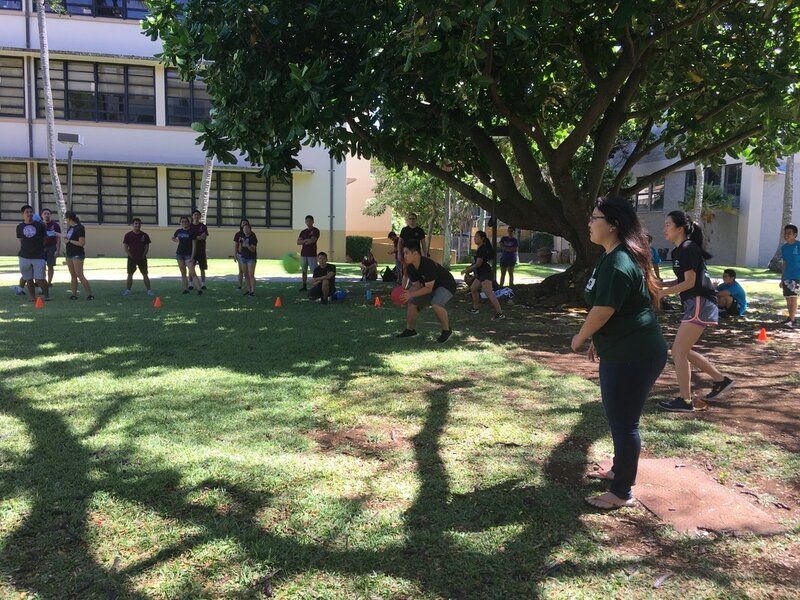 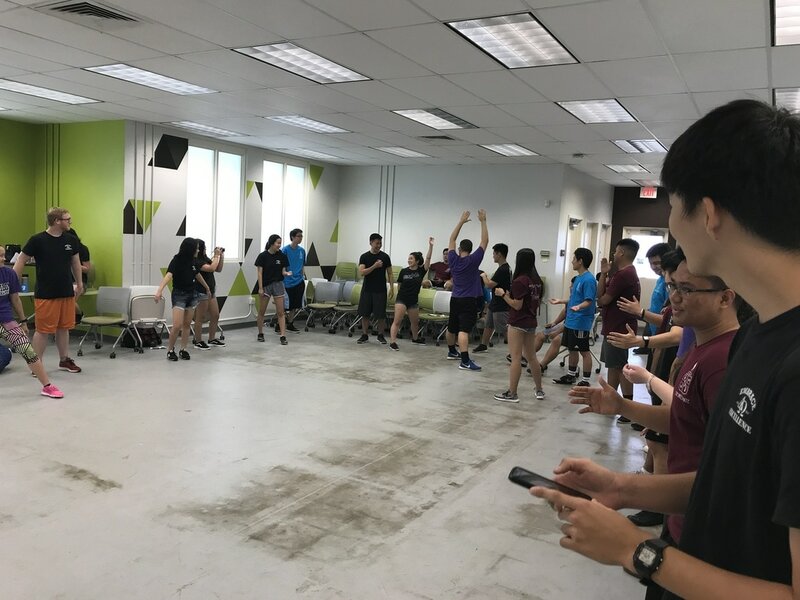 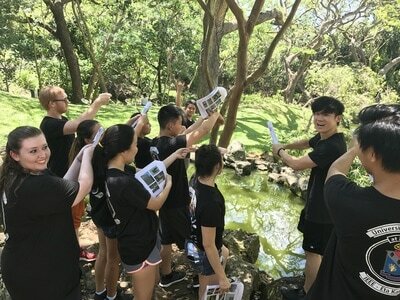 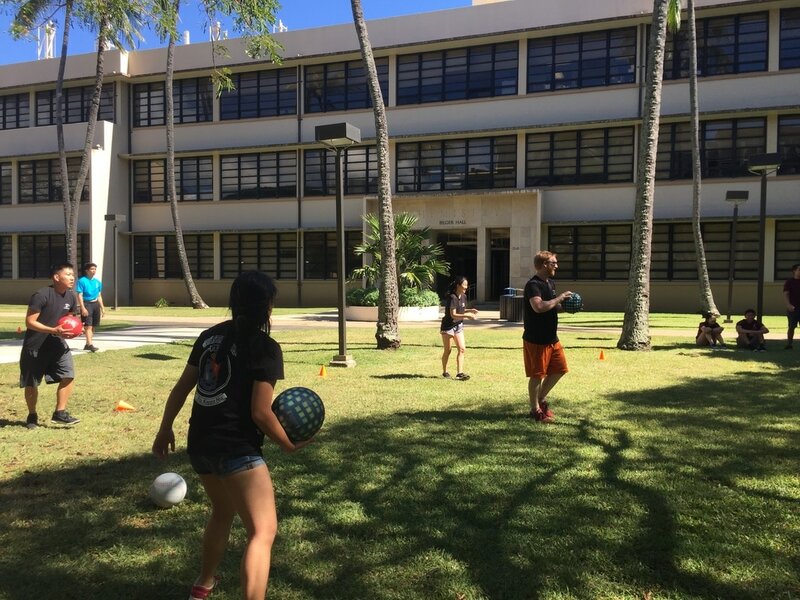 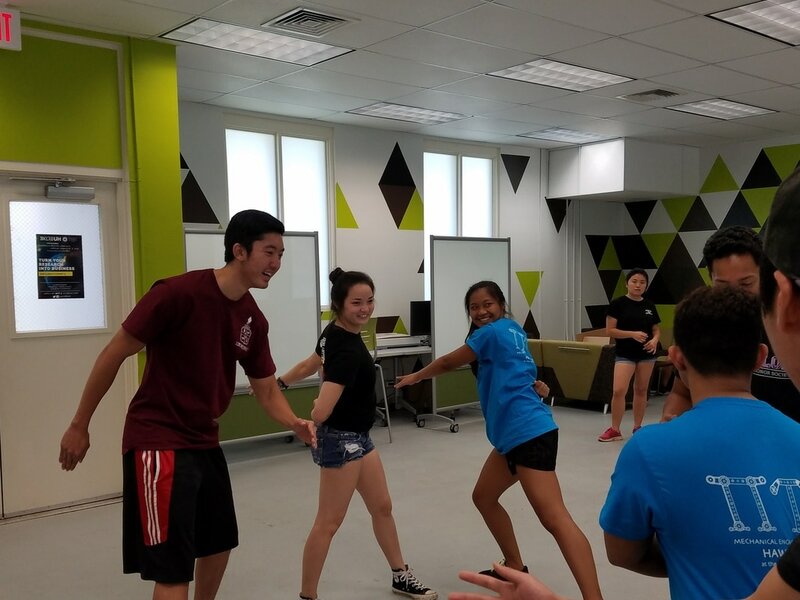 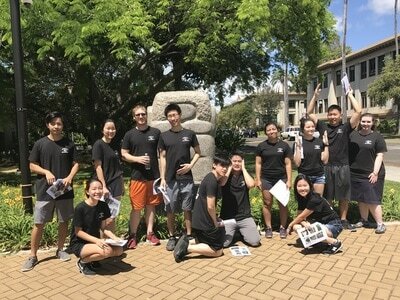 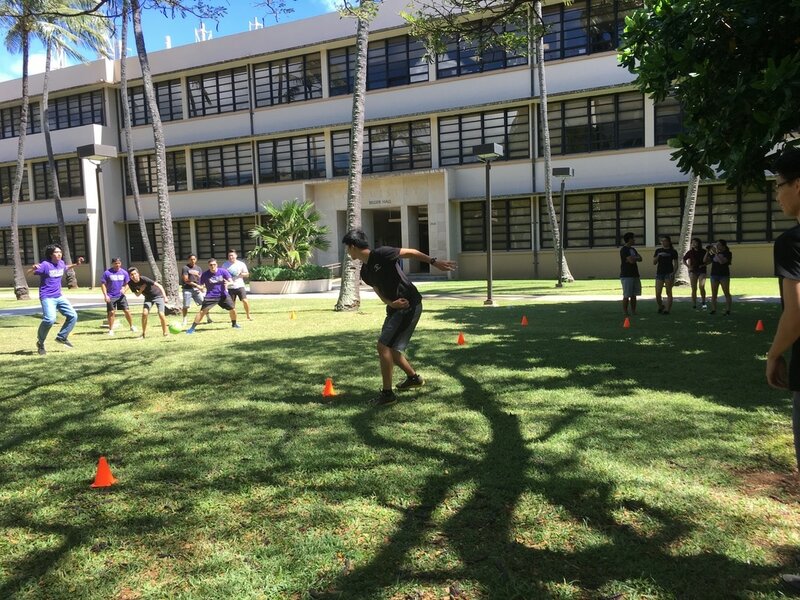 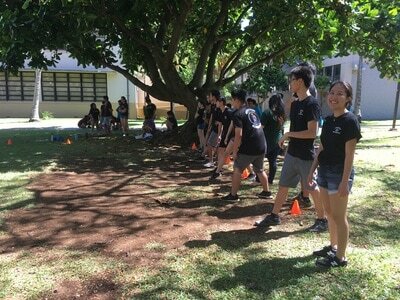 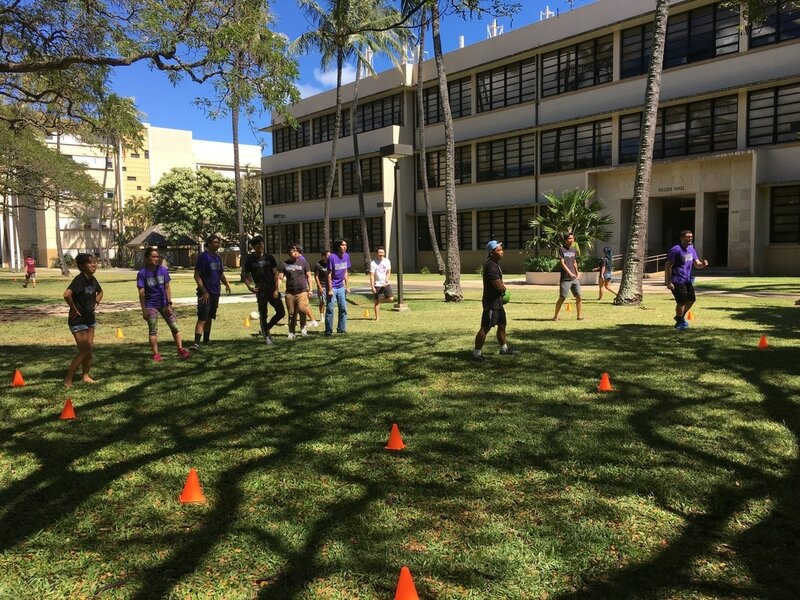 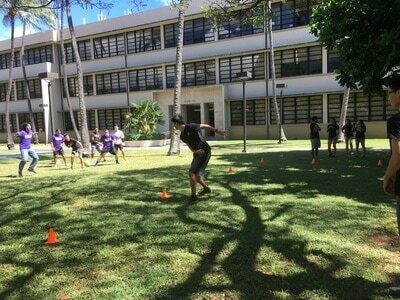 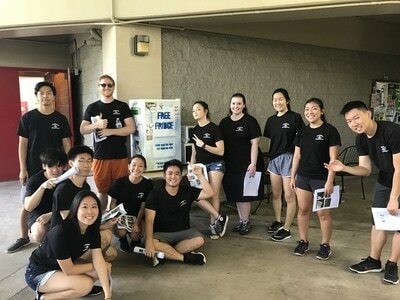 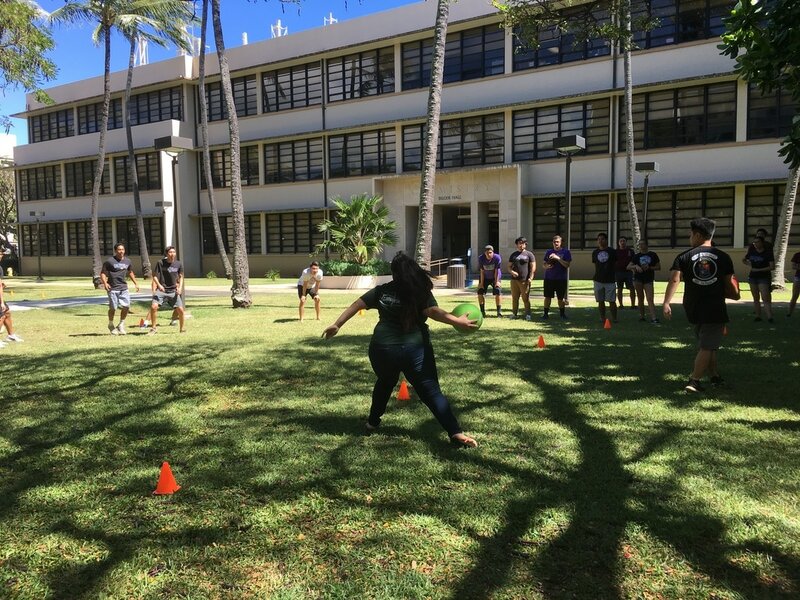 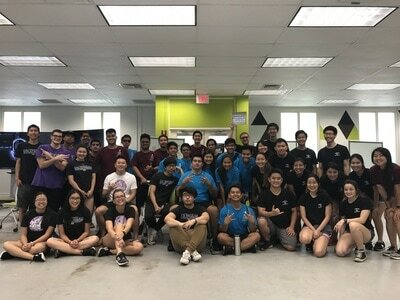 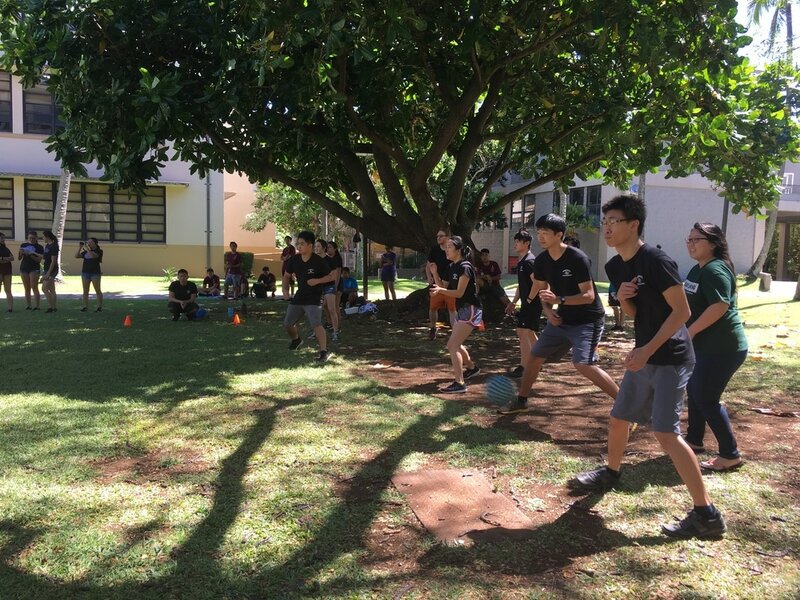 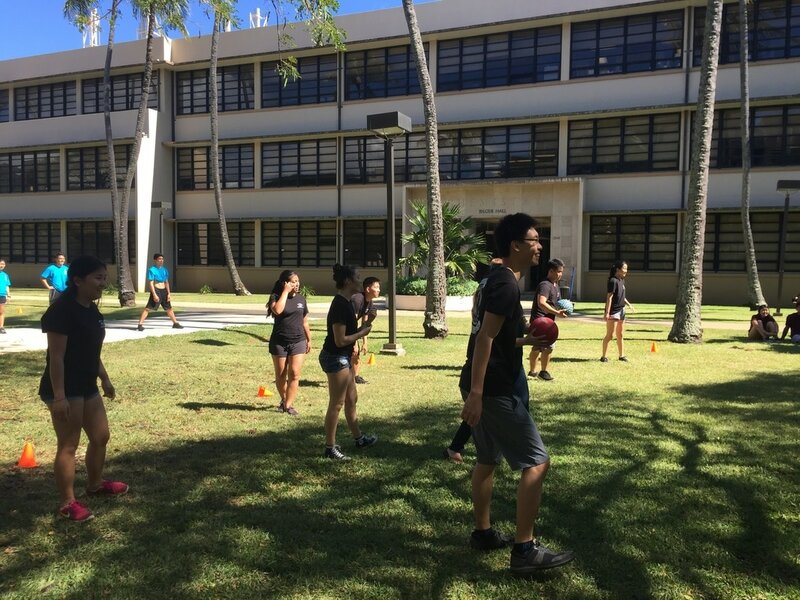 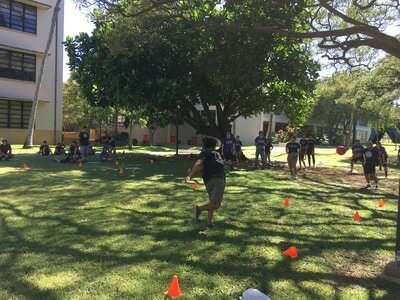 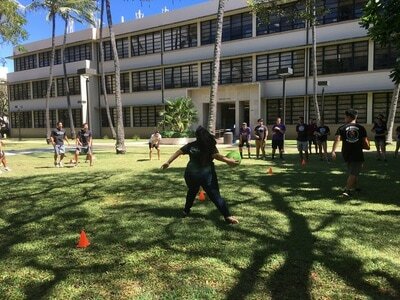 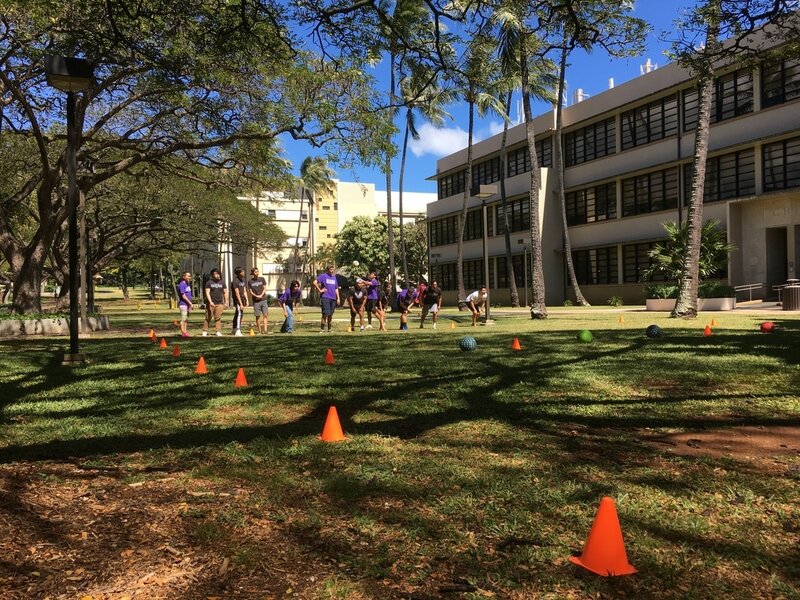 On April 15th, 2017, HKN participated in the Honor Society Challenge to play games and compete against the honor societies from the Mechanical Engineering Department and Civil Engineering Department. 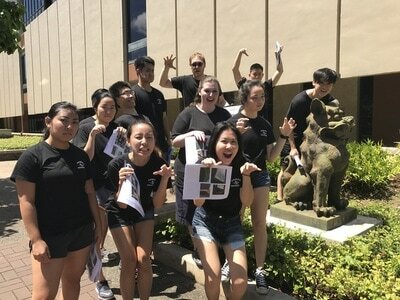 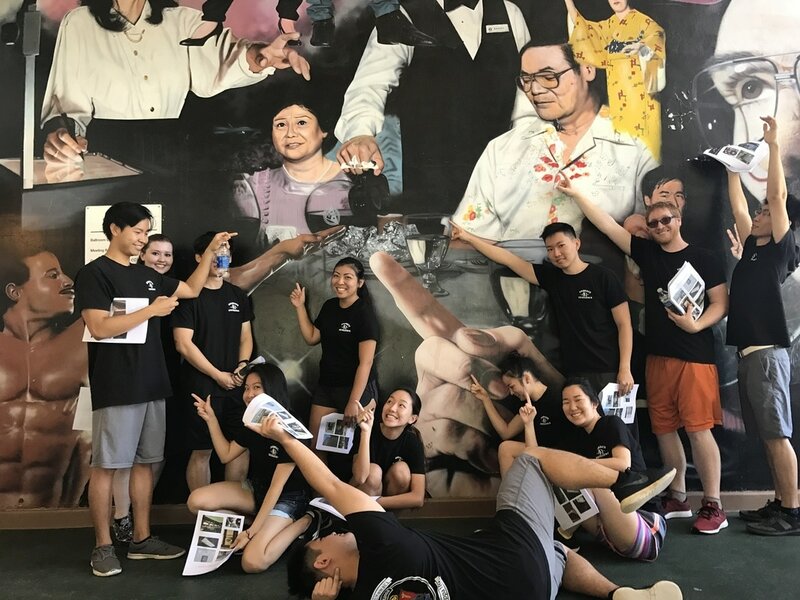 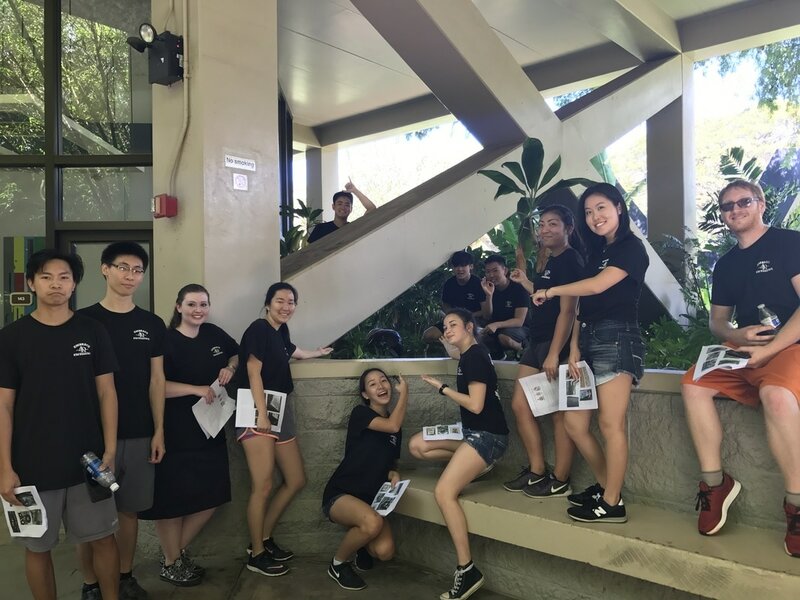 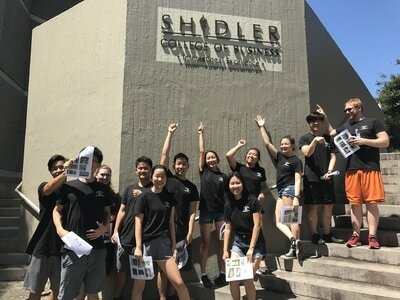 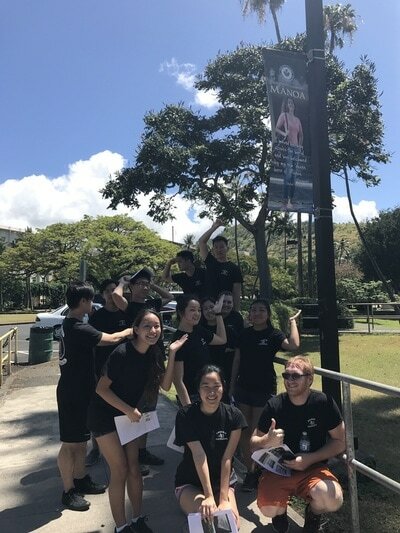 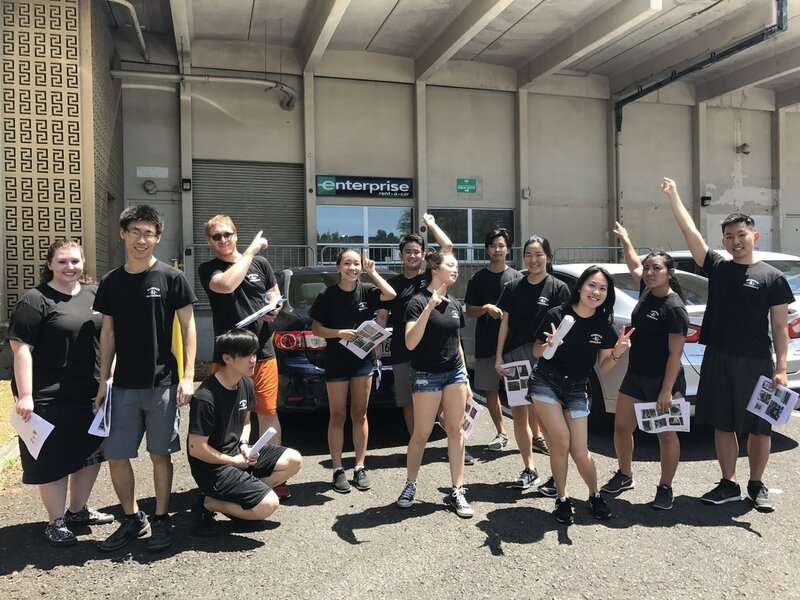 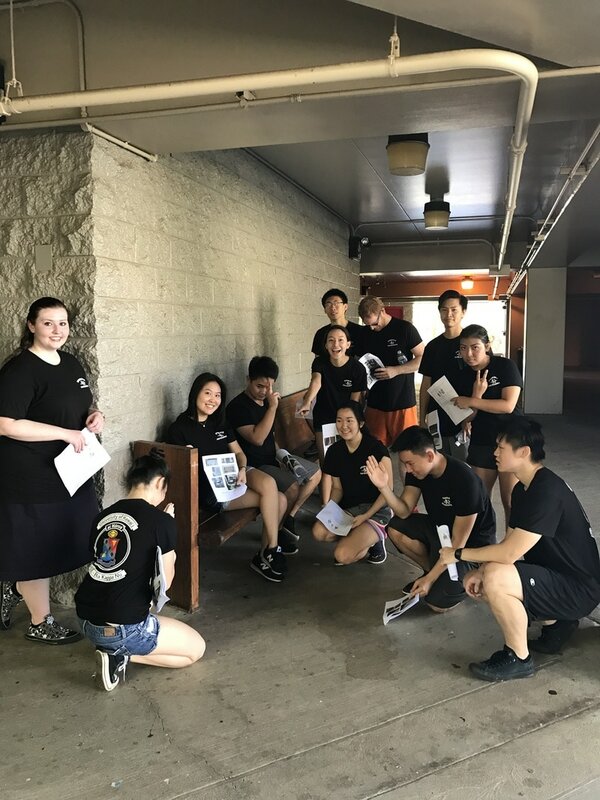 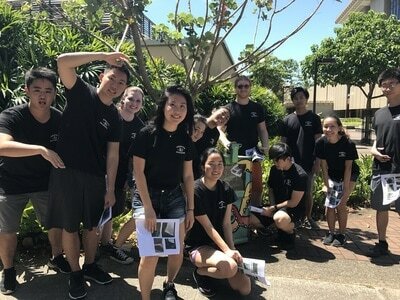 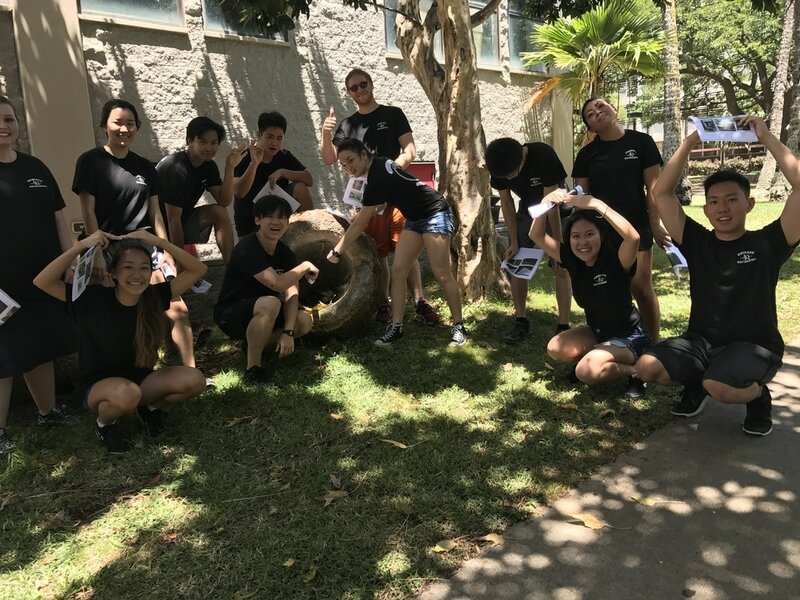 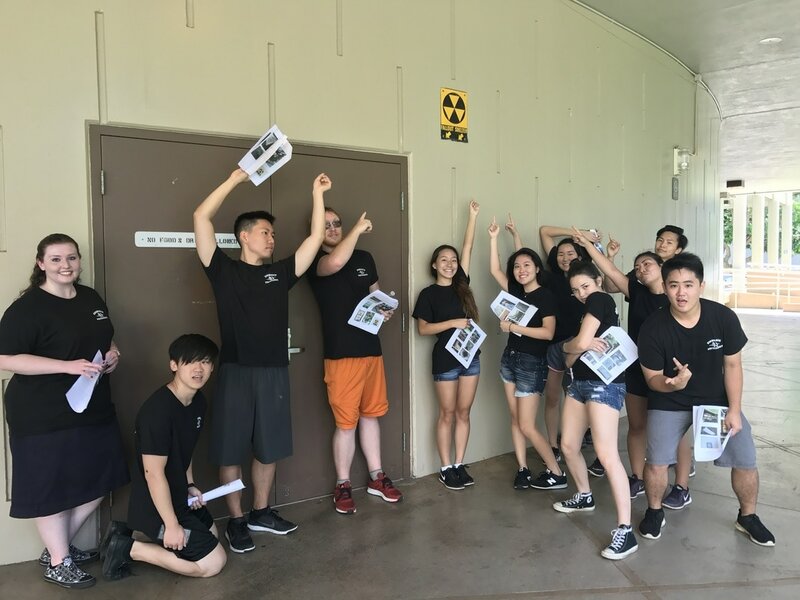 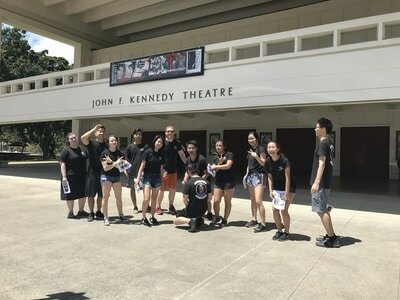 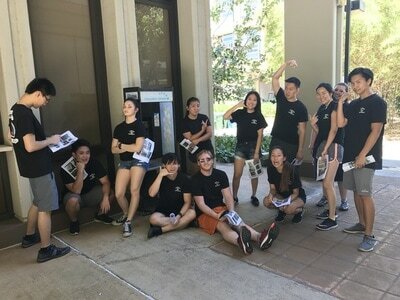 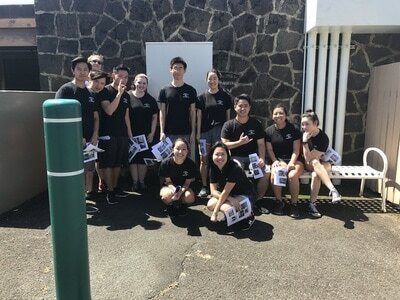 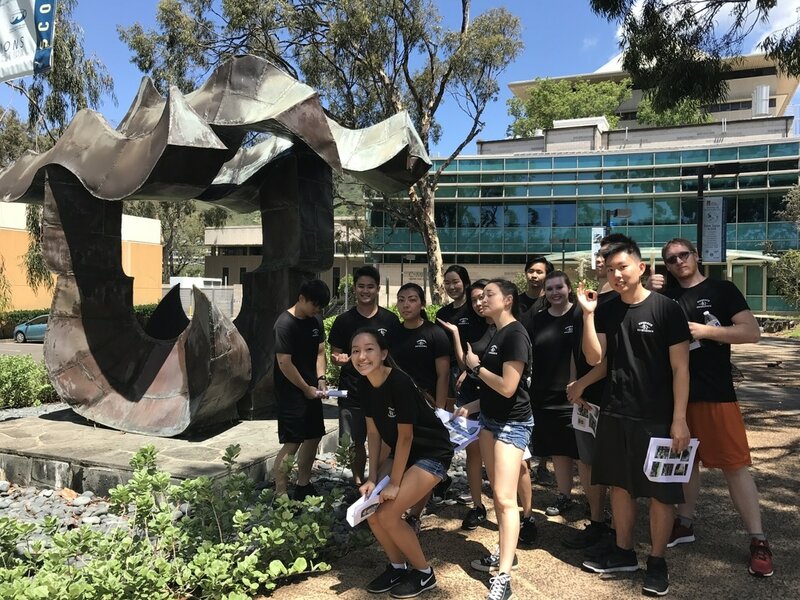 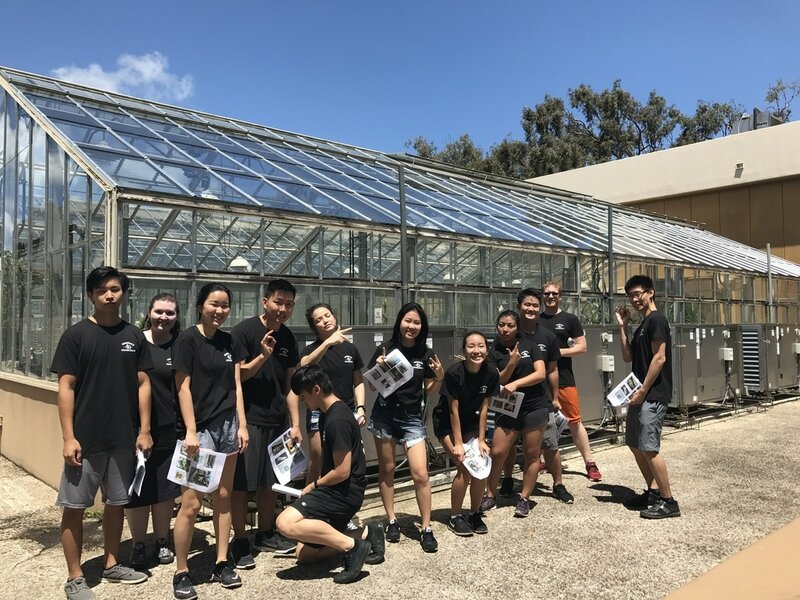 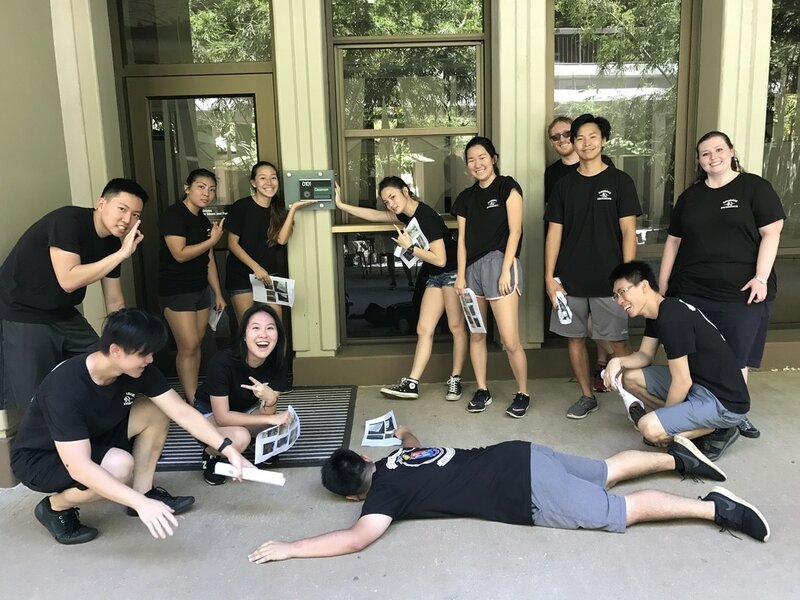 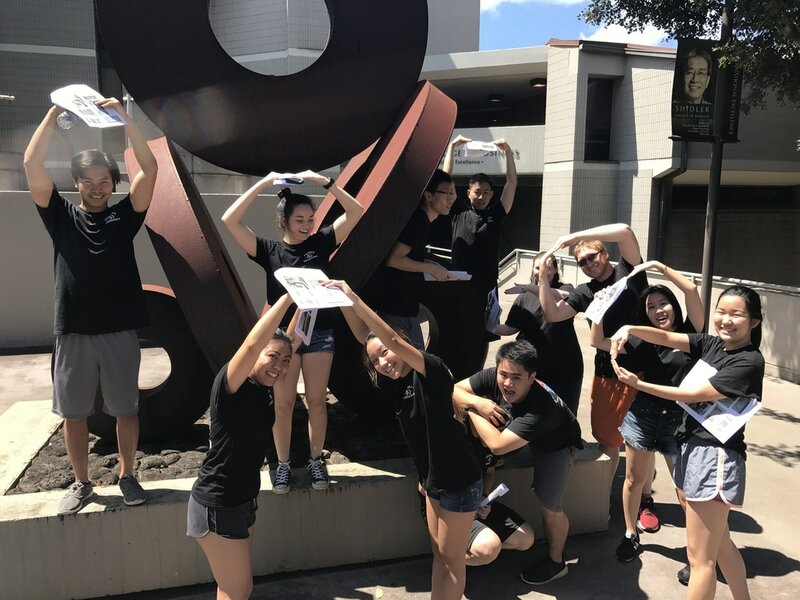 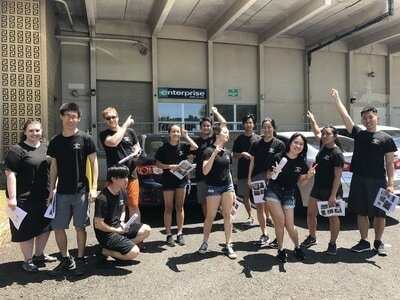 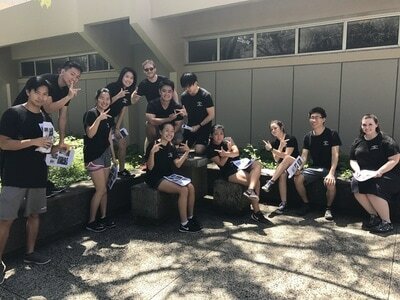 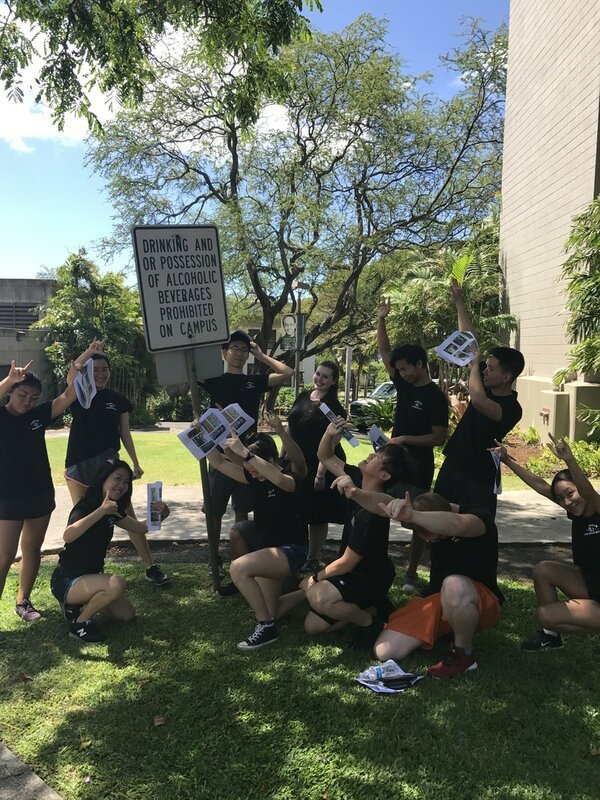 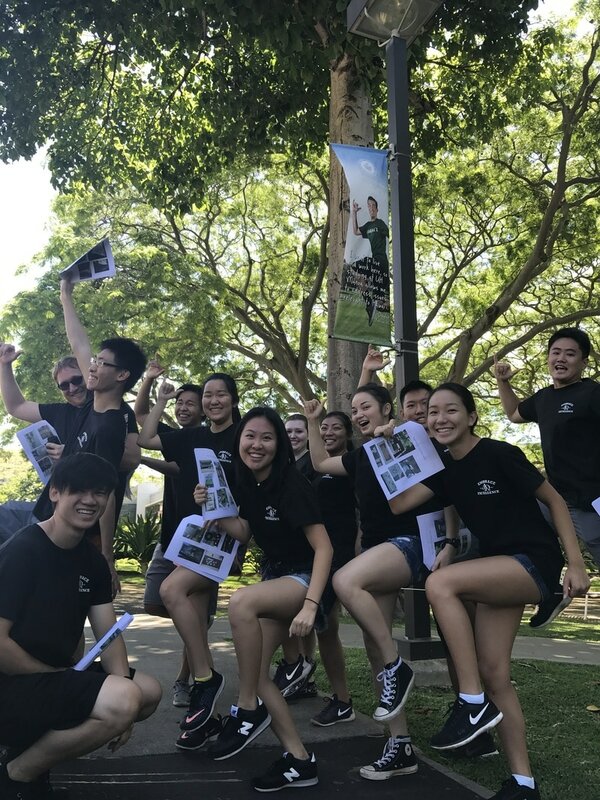 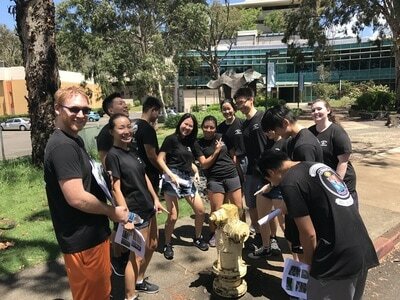 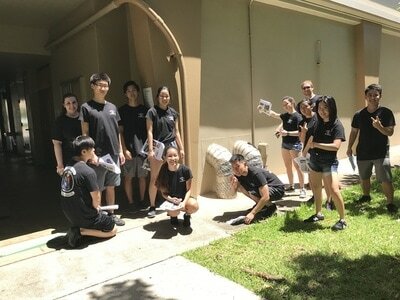 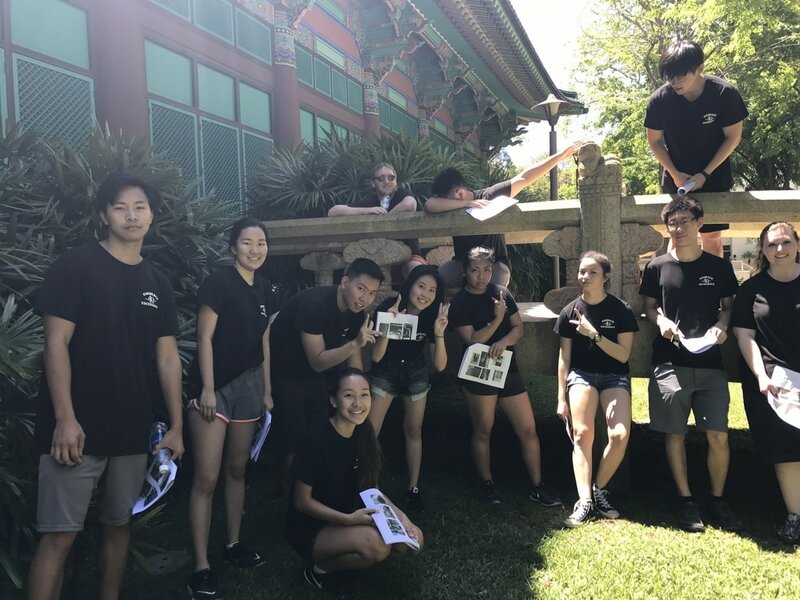 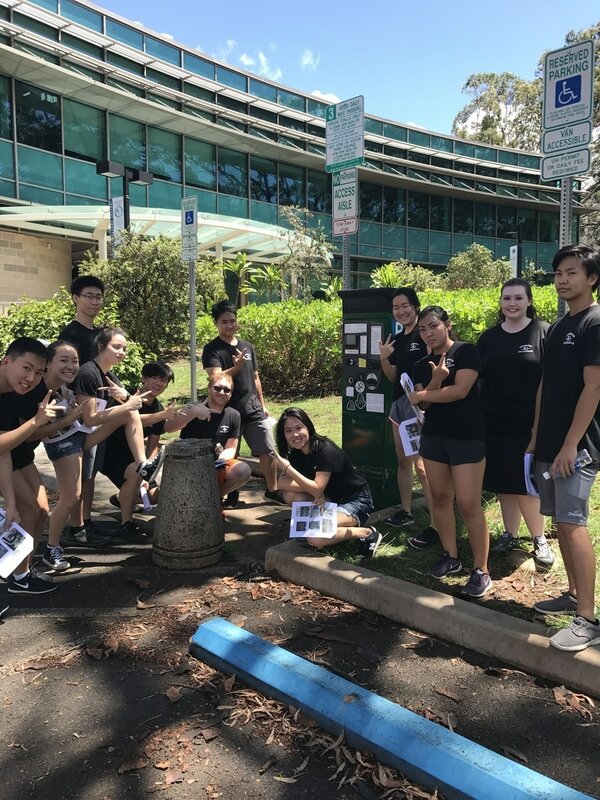 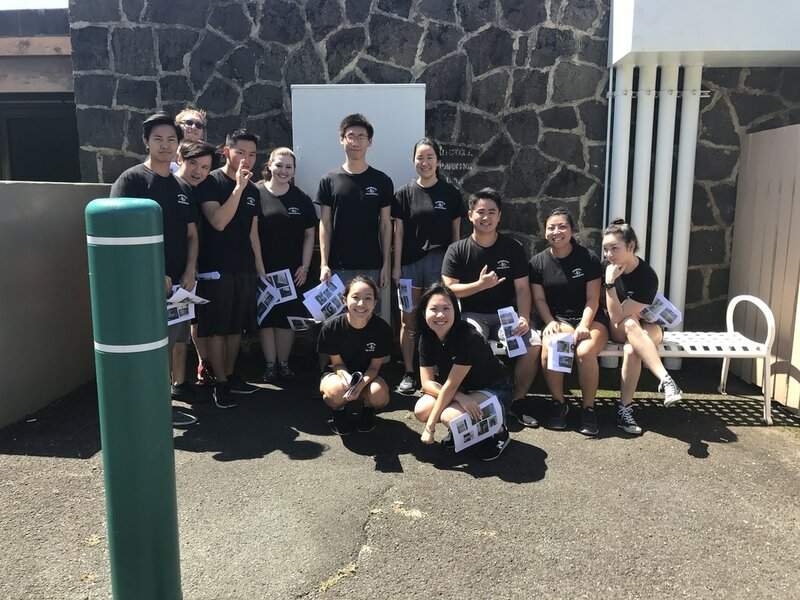 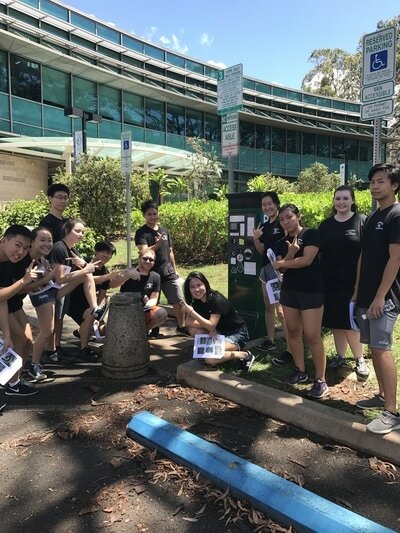 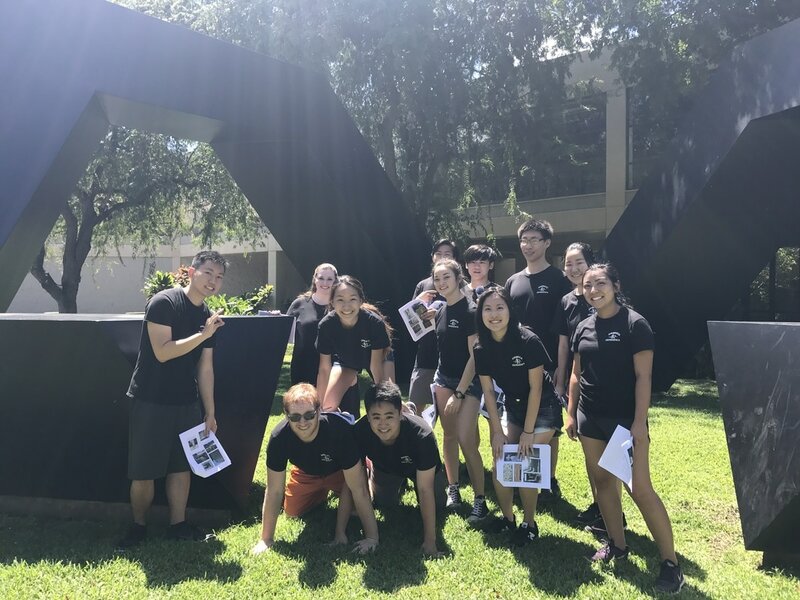 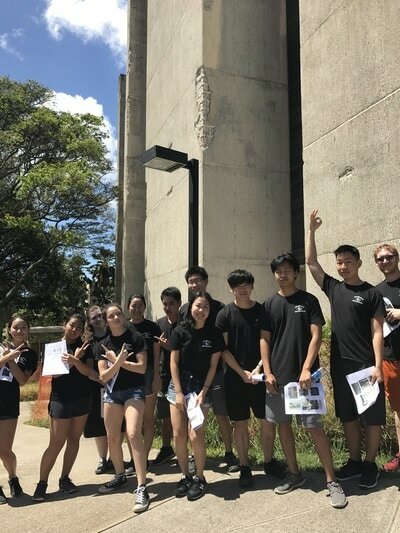 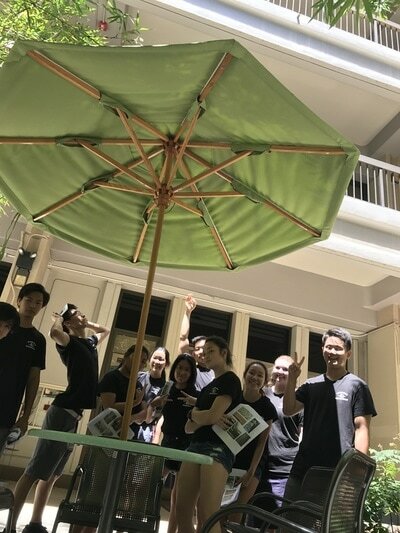 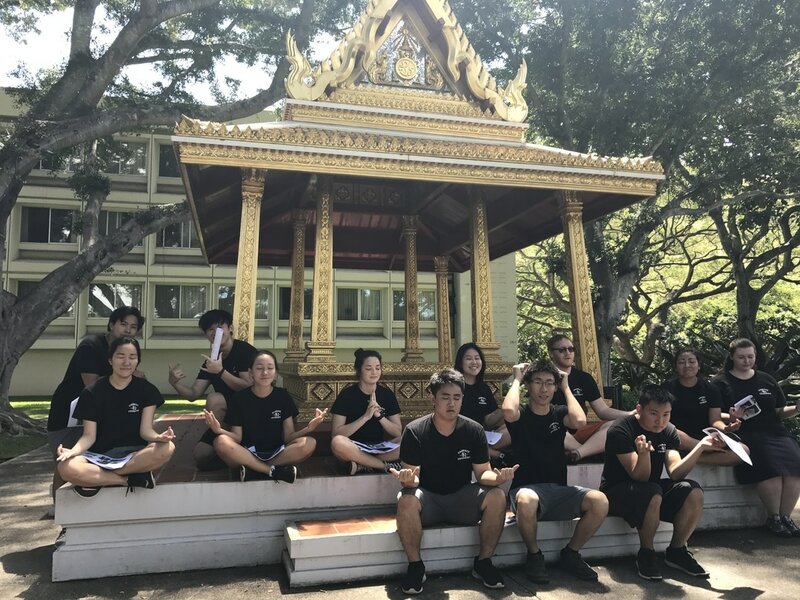 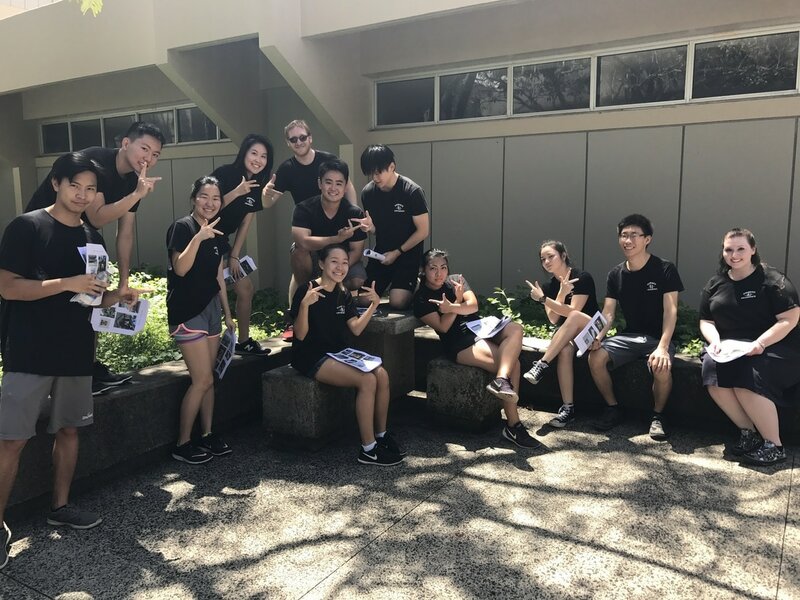 The Honor Societies all met up at the iLab and started the competition with a scavenger hunt to find and take pictures with various things across campus. 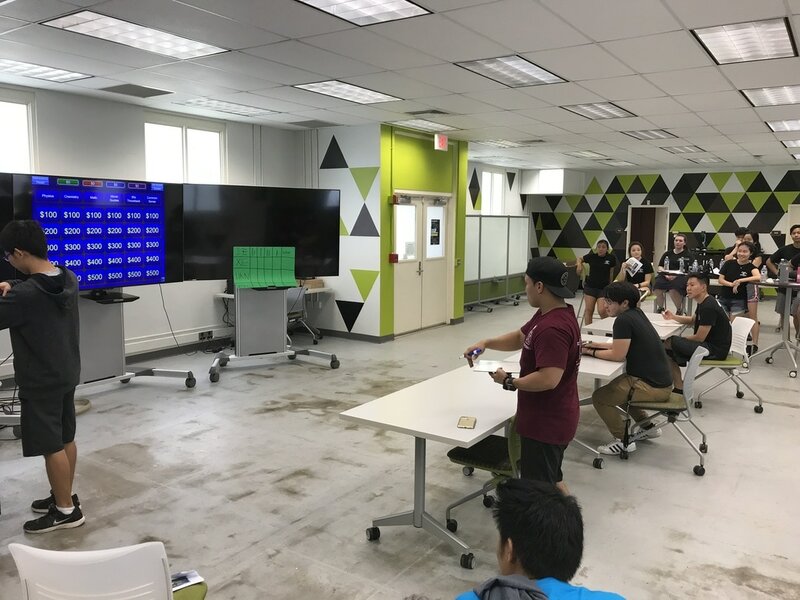 The next activity was a Jeopardy game that asked math, physics, chemistry, and pop culture questions. 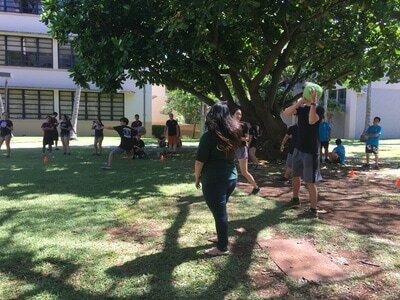 After this game, we all took a break for lunch and ate pizza. 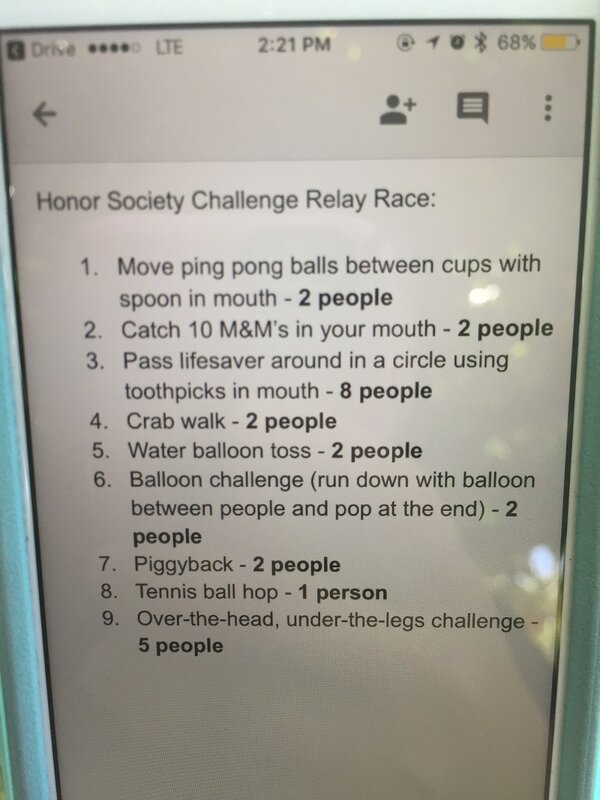 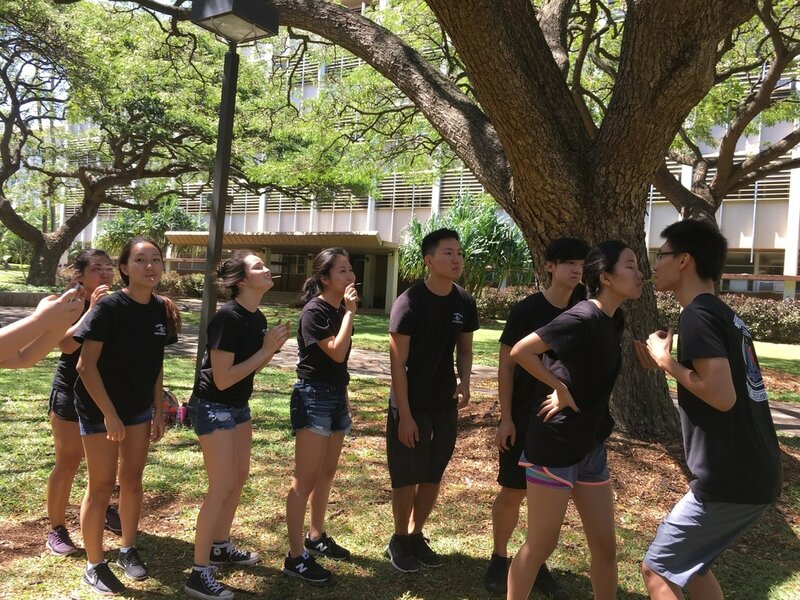 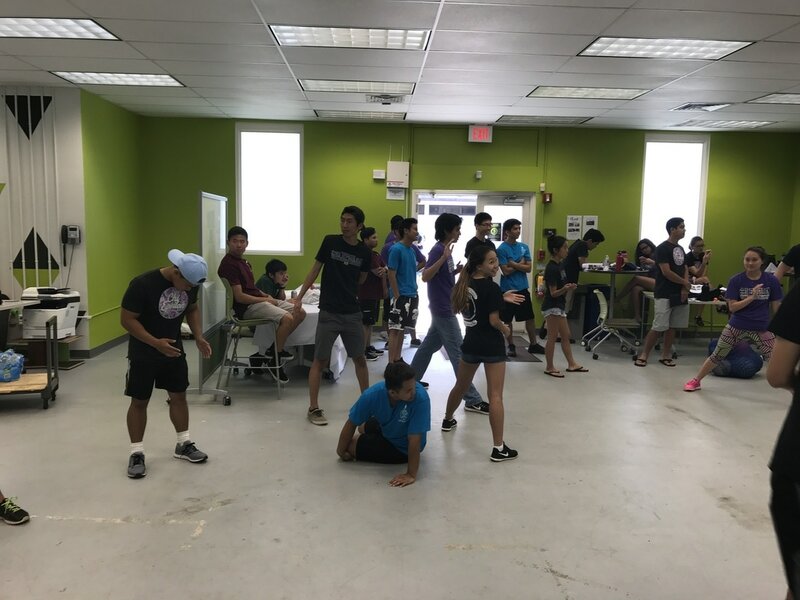 Up next was a relay race that made members complete tasks such as catching candy with their mouths, pop balloons, and giving each other piggy back rides. 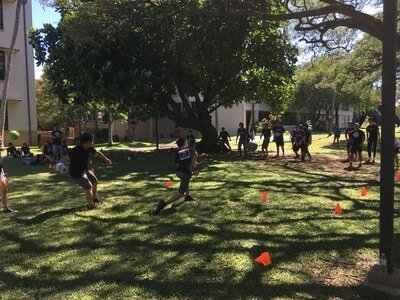 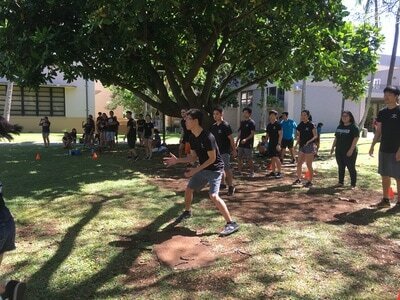 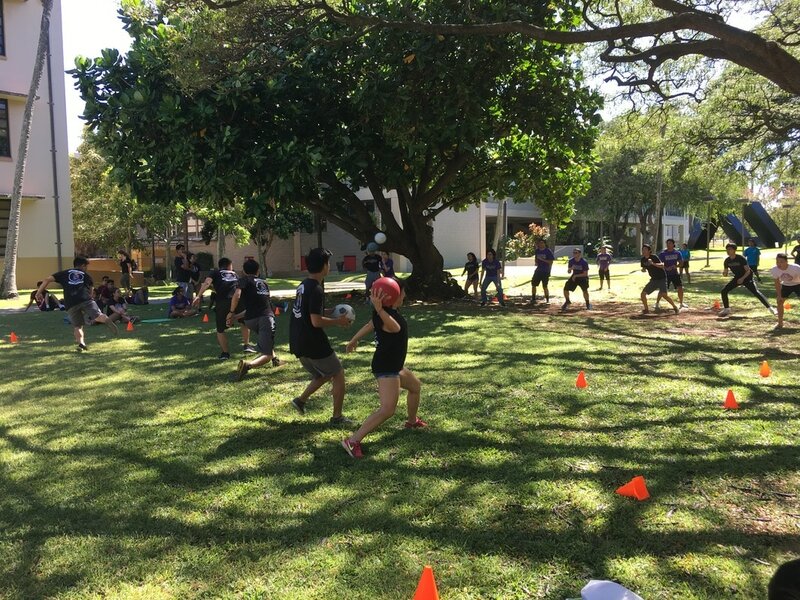 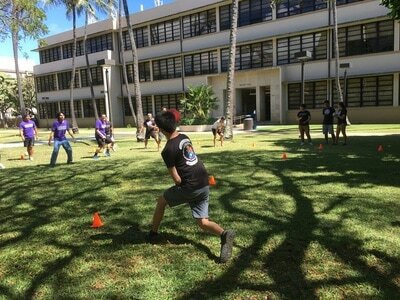 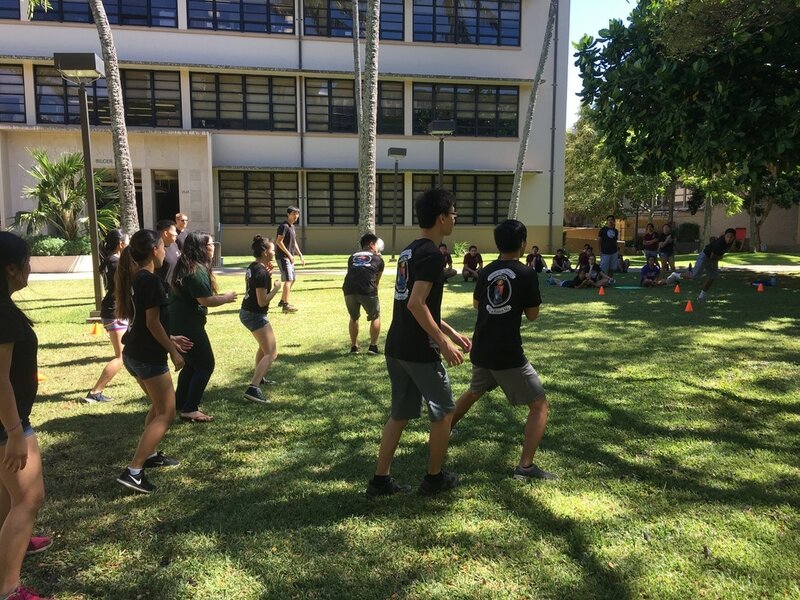 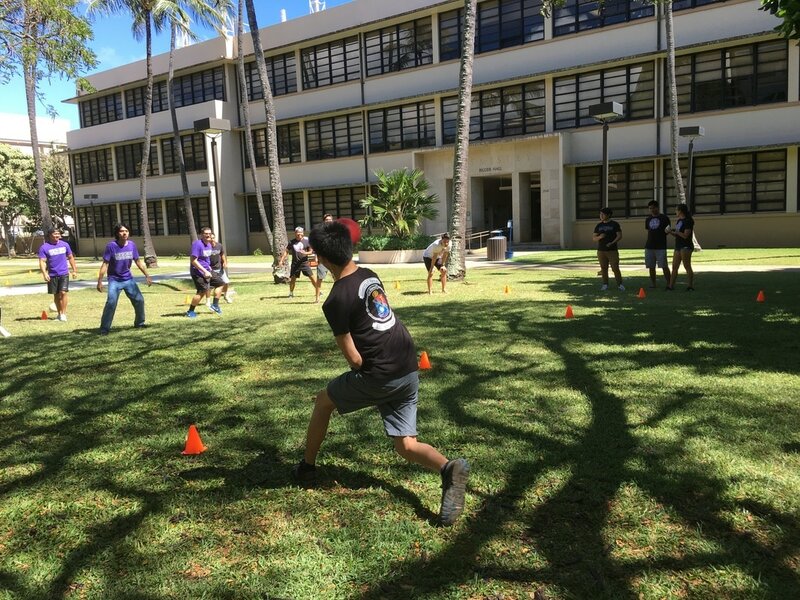 The last event was dodgeball where a tournament bracket was made and each honor society had to play at least two games. 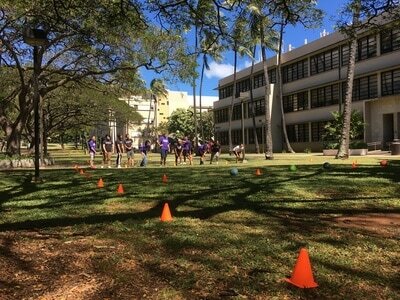 After completing this tournament, everyone came together to play a friendly game with the pledges vs. members. 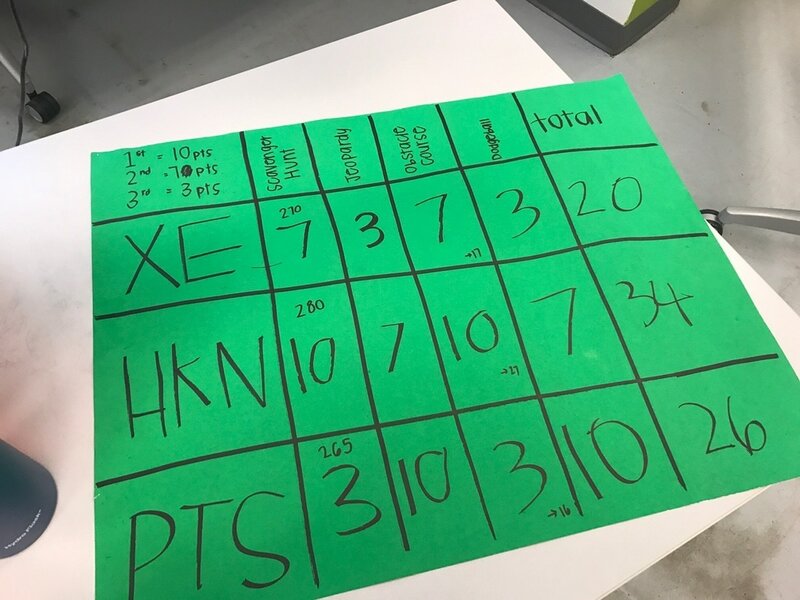 At the end of the day, HKN came in first for the scavenger hunt and relay race, and second for the Jeopardy and dodgeball games. After the total scores were tallied up, HKN came in first place overall! 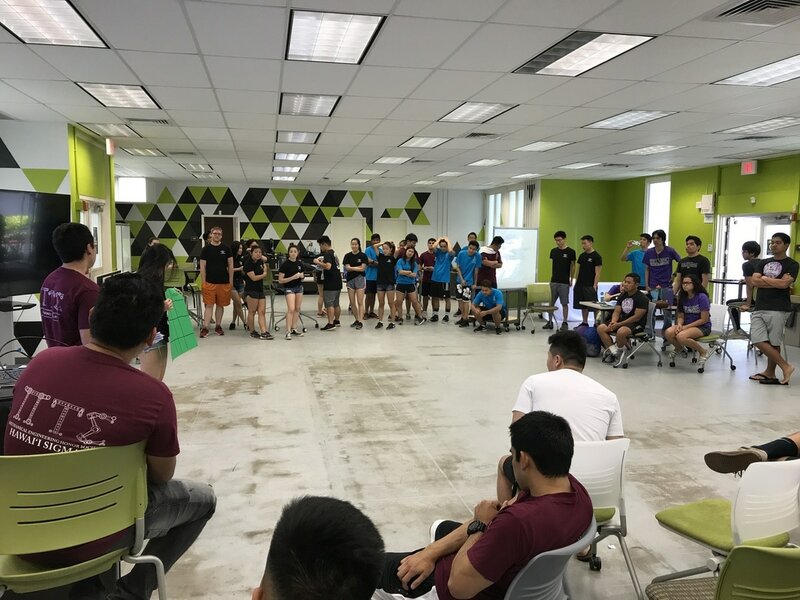 It was a very fun and victorious day for HKN!